Save your truck bed! 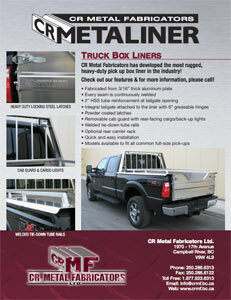 CR Metal Fabricators has developed the most rugged, heavy duty pickup box protector in the industry; the CR Metaliner. Check out our standard features and optional features. 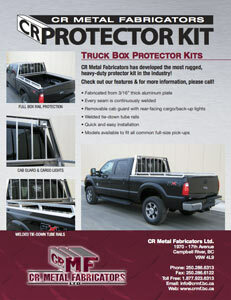 For more information on the CR Metaliner or CR Protector Kits please call or refer to the flyers below.